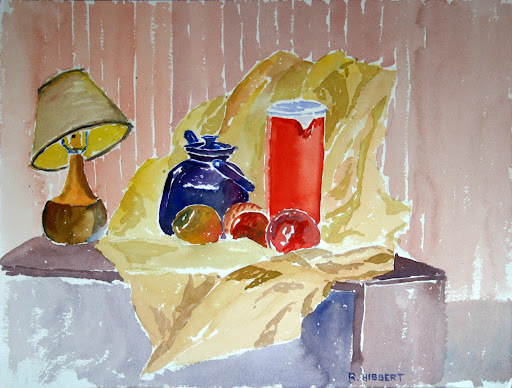 Watercolor: Still life with askew lampshade. 12" x 16". This was painted while RTH was in college.